This blog was first published on The Nation on 31 January 2018. On a TripAdvisor Bangkok forum Gary asks “Can I purchase antibiotics (in Thailand) without a prescription if I run out?”. roverEngland replies: “Yes I get my antibiotics no problem without doctors note in Bangkok. Also they are 1/4 price of what I would pay in UK.”, another writes “Whatever antibiotics you want- Any pharmacies will sell”. This kind of advice is one reason that two people die every hour from multidrug-resistant bacterial infections in Thailand. Worldwide, at least 700,000 people a year die from drug-resistant infections. If we don’t act now, this number is predicted to rise to 10 million a year by 2050. This will cost the global economy up to $100 trillion and push a further 28.3 million people into extreme poverty. Unfortunately, many developing countries allow antibiotics to be sold without a prescription. As a result, antibiotics are not used in the way that they are intended, and this is contributing to the rise of resistance. Today microorganisms that cause tuberculosis, malaria, urinary tract infections, and pneumonia are becoming increasingly resistant to a wide range antibiotics. This emergence and spread of antimicrobial resistance (AMR) could force us back to a time when relatively common infections and minor surgery could prove fatal. It is clearly not that antibiotic-resistant superbugs are unknown or newly discovered. On the contrary, AMR is recognised as one of the most serious public health threats worldwide. It has been on the agendas of G20 and G7 Summits, and is clearly a priority for the World Health Organization. 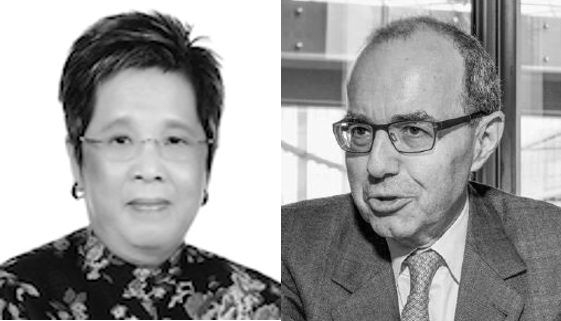 Just last year, the Thai government – together with the UK, Ghanaian governments and the Wellcome Trust – called for action to coordinate international initiatives and address key critical gaps in global action, including: reducing inappropriate antibiotic use; improving access to existing and new antibiotics and treatments; building new partnerships across industry, governments and civil society. This week, public health experts, academics, NGOs and business are converging on Bangkok at the Prince Mahidol Award Conference 2018 to discuss how to make the world safe from the threats of emerging infectious diseases. Despite the many voices raised in concern, we still have not seen anything equivalent to the alarm shown for other pandemics. One reason may be that AMR does not have the recognisable ‘face’ of disaster. It is not an ecological disaster or a disease epidemic such as Ebola or Zika that has the power to scaring all of us. It is more of a silent killer. To move from talk to action, over 100 biotechnology, diagnostic, generics and research-based biopharmaceutical companies and trade associations have united to combat AMR. The companies working together under the banner of the AMR Industry Alliance have released a report tracking the action being taken by the life sciences industry. It shows that in 2016 alone, AMR Industry Alliance companies invested at least USD 2 billion in R&D to counter AMR. The private sector investment is good news as is the more than 40 new products in late stage development, but it is nowhere near sufficient to address the problem. High-risk investments for new much needed antibiotics will be difficult to sustain under current conditions where new antibiotics should remain in reserve on the shelves and used as a last resort, meaning there is no economic return on these products. There is an urgent need for action on sustainable R&D incentives that reward success to avoid a looming public health disaster. We can be more upbeat in terms of actions that safeguard how we use existing antibiotics more effectively. The report shows that 80% of all responding companies are engaged in activities to support appropriate use. For example, one company has created IDStream.asia, a video-streaming platform for Thai healthcare professionals and policy-makers, which provides information on complicated bacterial and invasive fungal infections. Also worth noting is the Antibiotics Smart Use (ASU) program that focuses on highlighting that the common cold with sore throat, acute diarrhea and simple wounds do not require antibiotic treatment. 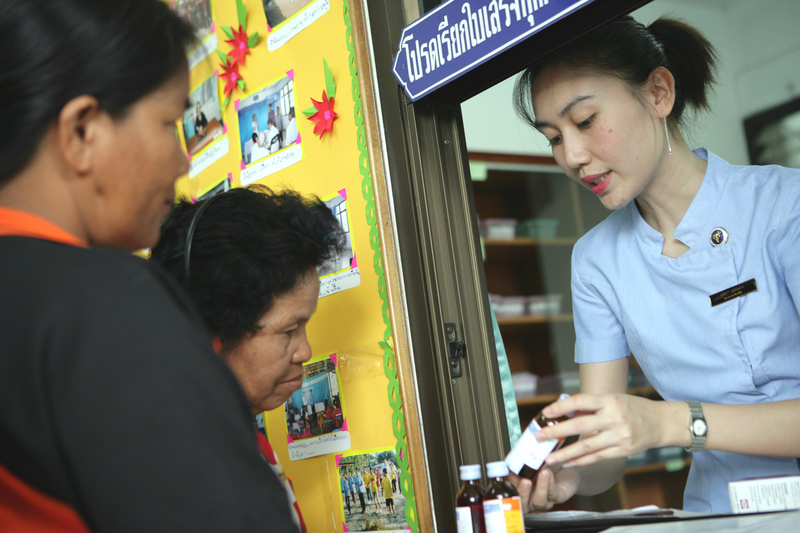 Another company has agreed with the Royal Thai government a 4-year plan to tackle multi-drug resistant tuberculosis, with drug donations, as well as activities that include educational workshops, drug resistant treatment guidelines development and active pharmacovigilance. To address the problem highlighted by the TripAdvisor exchanges, one company has developed a patient educational campaign to avoid over use of antibiotics, including a self-diagnosis product for sore throat, displays and brochures in pharmacies, to help patients differentiate viral and bacterial infections. We applaud the Royal Thai government for its global leadership and the measures it is taking to tackle AMR. Thailand’s national strategic action plan on AMR has some impressive goals, including achieving a 50% reduction in AMR deaths by 2021. It can rest assured that the AMR Industry Alliance companies intend to live up to their commitments – leading the way on how the private sector can act to fight AMR. Study funded by the kingdom’s health ministry and the Wellcome Trust in September 2016. BMJ, New chapter in tackling antimicrobial resistance in Thailand, September 2017.